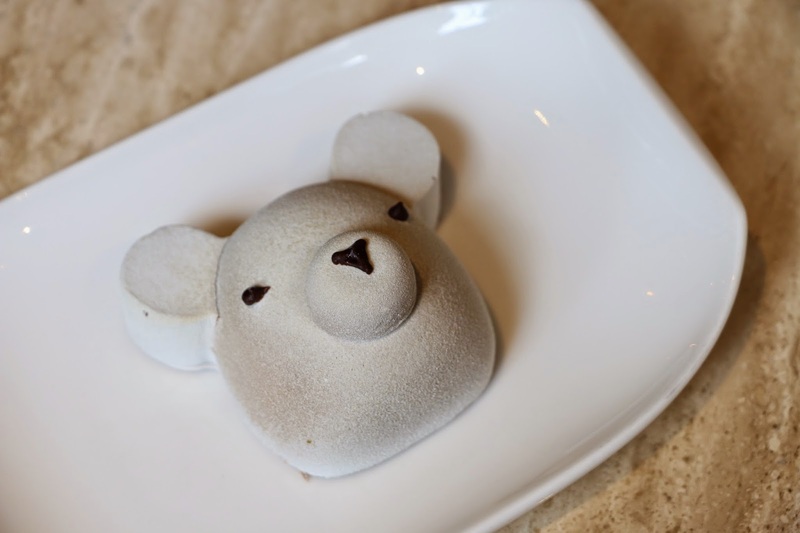 Named after a professional French barista - b. barista, this enticing cake combines coffee creme, creme brulee, a thin almond crust and a sweet caramel toffee cream, which is modified into an image of a bear. This adorable treat is basically a strawberry flavoured shaved ice that is made into an image of a cute bear. The combination of strawberry and Hokkaido milk soft serve is incredible and the superbly rich and silky matcha pudding, plus the scoop of vanilla ice cream is to die for. The combination of delicious ingredients ends up resembling a bear nose. Source: Spot The Food - The iCremBearia! This is the first Japanese-launched shaved ice pop-up cafe in PMQ. The setting is simple yet sophisticated with many different Japanese elements, accommodated with homey and friendly services. 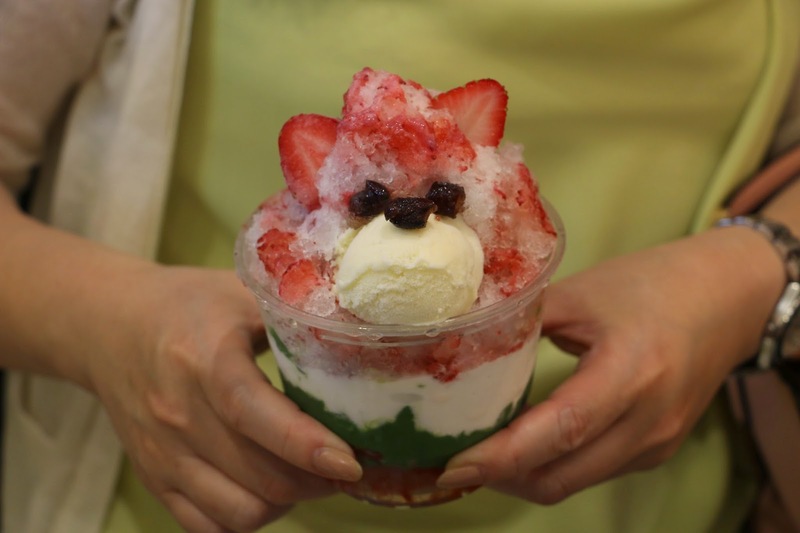 They offer five flavours of shaved ice, including: strawberry, mango, coffee and matcha red bean, plus an extremely popular item - the White Bear. 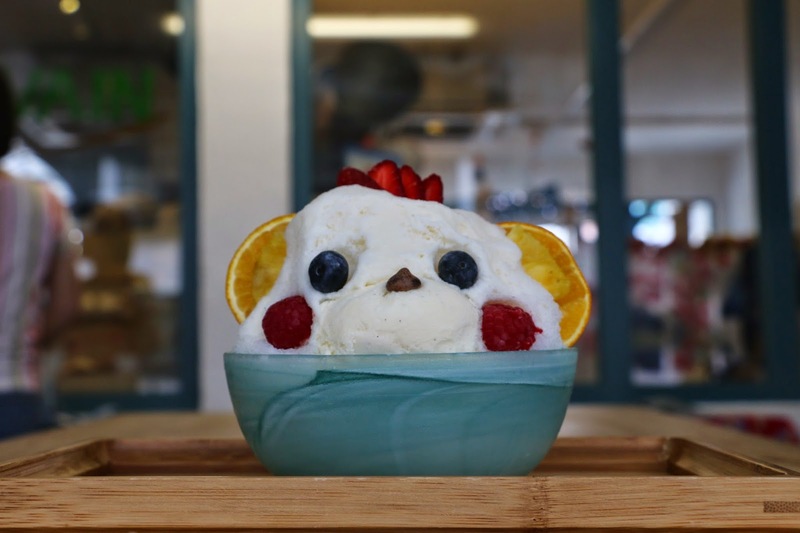 This adorable teddy bear has a fluffy milk-base of shaved ice, a scoop of vanilla ice cream and it's served with an additional sauce of your choice on the side. It is delightful to see such a cute, hefty serving with various fresh fruits. It is very refreshing, light and not too sweet.